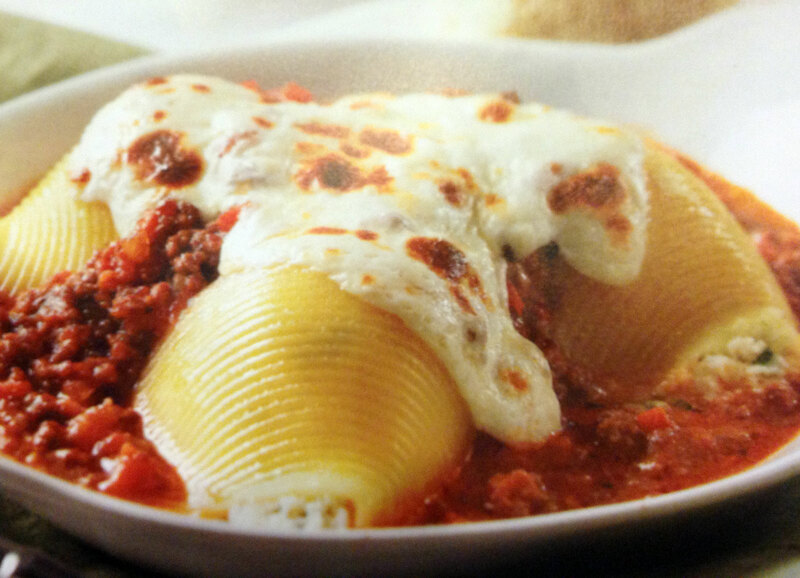 Stuffed Shells in Margarita Sauce – What's in your cupboard? Combine tomatoes, onion, garlic, oil, pepper flakes, & salt in a large baking dish. Roast tomato mixture in the oven for 45 minutes. Reserve the basil leaves for after removed from the oven. Bring a pot of salted water to a boil for the shells cook the shells until they are pliable about 8 minutes. Drain shells, then place in a large bowl or pot of ice water (this will stop the cooking) drain shells again, separate any shells that are stuck together, & set them aside. Combine ricotta cheese, shredded mozzarella, parmesan, parsley eggs & 1 teaspoon salt into a large mixing bowl. Remove tomato mixture from the oven & let cool for 10-15 minutes purée tomato mixture with an emulsifier or food processor stirring the fresh basil. Set aside. Spoon a thin layer of sauce into the bottom of a large baking dish or individual ramekins. Spoon cheese mixture into shells & layer shells open a side down in a large baking dish or individual ramekins. Spoon remaining sauce over shells leaving some to the shells exposed. Top with fresh sliced mozzarella cheese & bake until cheese is melted &/or sauce is bubbling approximately 25 to 30 minutes. Wonderful posting. Keep up the very excellent work.